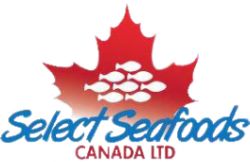 Select Seafoods Canada Ltd. was incorporated to purchase and operate the FAS factory trawler, Northern Alliance. There are five shareholders who are well known long time participants in the fishing industry. Their collective experience and expertise will ensure an efficient well run operation producing high quality frozen at sea (FAS) products that customers can rely on. The factory vessel Northern Alliance was purchased in Iceland by Select Seafoods Canada Ltd. and began operations in July 2012 fishing West Coast Canadian waters. It has a freezer hold capacity of 220 MT per trip and each trip is expected to last 8 – 10 days.